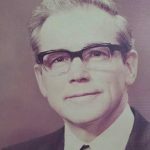 The man at the helm of this third generation family run business would like to share the history of A. R. Menzies & Sons Ltd. 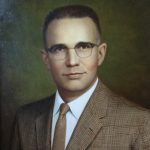 The founder’s grandson and namesake, Allan Menzies, followed in his father’s and grandfather’s footsteps and recaps the last nine decades. This is a story of hands-on experience and knowledge passed down through three generations. 3rd Generation Alan J. Menzies with founder’s Hip Disarticulation Prosthesis. A .R. 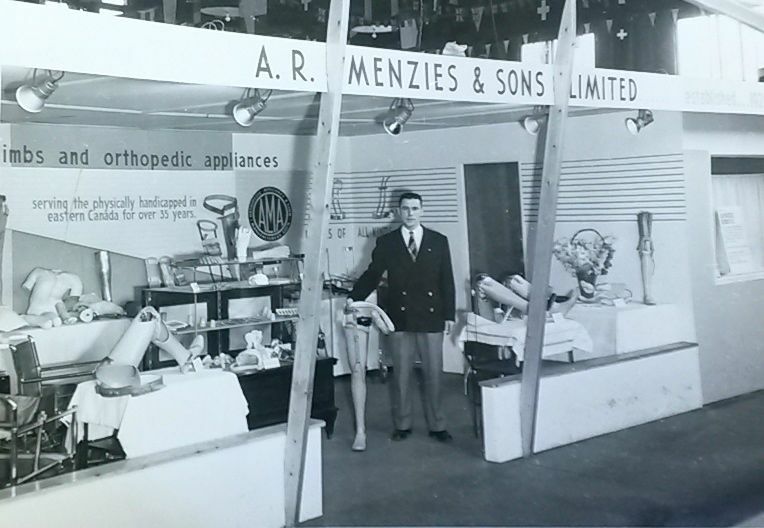 Menzies & Sons Ltd. was founded in 1920 by Allan R. Menzies after suffering a lumbering accident in which his leg was amputated. This time was just prior to the First World War and in the days before antibiotics. The wound became infected and gangrene set in. 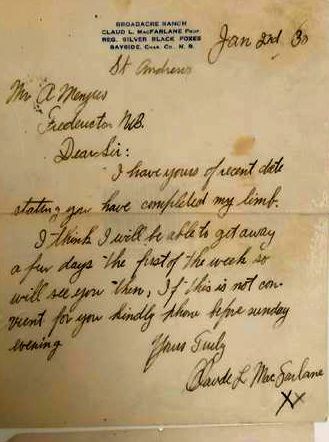 He was sent to Boston by rail, was amputated at the hip and subsequently fit with an artificial leg. This provided the catalyst for him to learn the art of prosthetics and orthotics and start his private practice in Fredericton. The business was initially located where the present police station is on Queen Street. One year later, the business moved to the corner of Rookwood Avenue and Woodstock Road, where it continues to operate today. To my knowledge, A. R. Menzies & Sons Ltd. is the oldest continuously run family prosthetic and orthothic business in North America. The operation was very different in the ’30s. My grandmother would often board patients at the family homestead due to difficulties in travelling long distances plus the length of time it took to produce a prosthesis. The house was, and still is, adjacent to the clinic. The garage, adjacent to the house, was where the artificial limbs were manufactured and the family cow was kept. Grandmother would often comment that we could have six people at the supper table and only five or six legs under it. During the depression years, it wasn’t uncommon to accept payment in barrels of potatoes, apples or peaches. A patient from Maine even crossed the border with a 12-gauge pump shotgun under the hood of his car in exchange for a new limb. It is still my dad’s favorite gun! 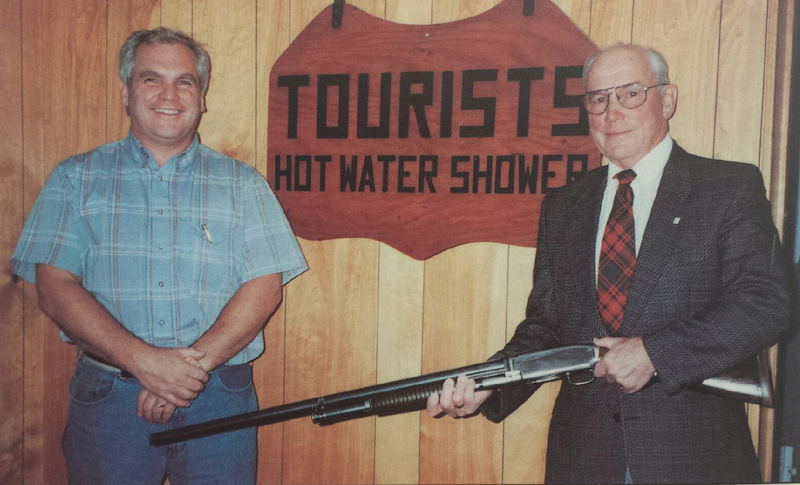 Allan (left) and Laurie holding his favourite hunting gun, received in exchange for making a leg. Tourist sign, which hung outside the family homestead, to accommodate patients due to the distance they travelled and the time required to manufacture their limbs. Prostheses were made with materials such as willow wood and leather, and took many man-hours to fabricate. 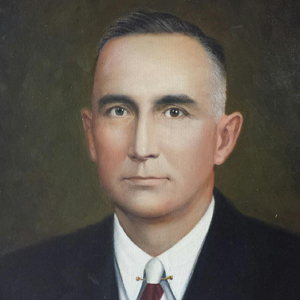 In 1943 my grandfather, Allan R. Menzies, passed away and his sons, Norris and Laurie, took over the business. My father, Laurie, studied prosthetics and orthotics in Chicago, but says he learned more from his father than anything he learned in school. I would say ditto. I learned more from my dad than anything I learned in prosthetics school. Now let’s jump to 1958. These were exciting times as my dad and uncle bought and moved two ex-army huts from across the street and onto a pre-poured foundation on family land adjacent to the homestead and garage. We are still there today and now encompass approximately 7500 sq. feet. The company also started to branch out into the field of home health care and wheelchair sales and service. Research and steady progress were accelerated due to the requirements demanded by the younger generation, created mostly by veterans and the Vietnam War. During this decade, my mother joined the team as our registered nurse. My personal involvement in the company in the early ’60s was cleaning the garbage cans and sweeping the floor. Our services continue to expand into the fields of mastectomy prostheses, ostomy and urinary supplies. My uncle Norris left the business in 1970 and only months later was killed in a private aircraft accident. I joined the company in 1971. At that time there were no accredited schools in Canada, so I accumulated my training by attending the Rehabilitation Institute at Northwestern University in Chicago and several professional seminars in the US and Canada. 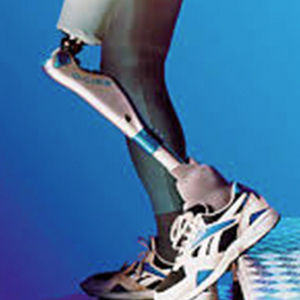 In 1979, I achieved my Canadian Certification in Prosthetics. Terry Fox was a highlight of this time. 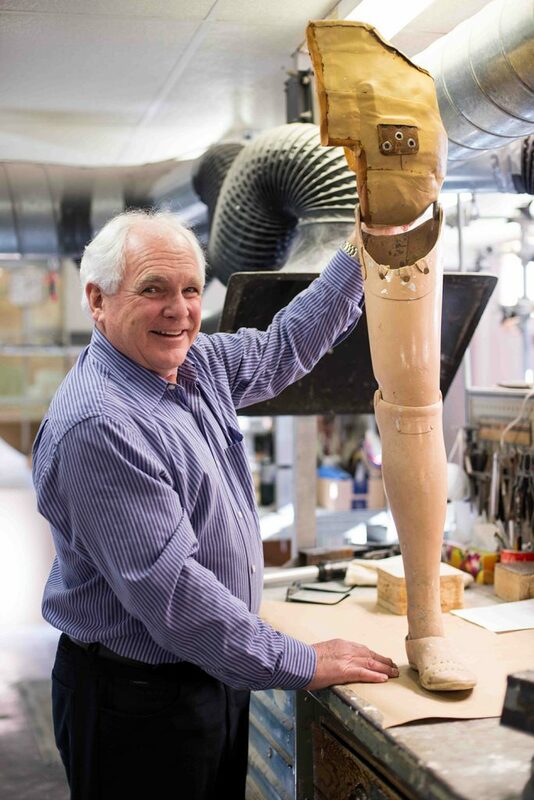 Both my father and I spent over 30 hours working on this amazing man’s prostheses. 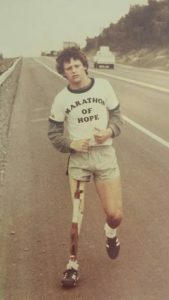 Nearly four decades later, schools are still sharing the story of this inspiring amputee and his attempt to run across our country. We had approximately twenty plus staff at that time and were doing outreach clinics throughout the province. After more than five decades, my dad officially retired in 1995. 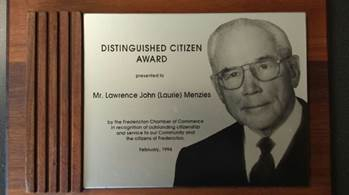 In 1996, Menzies was proud recipients of the Fredericton Chamber of Commerce Small Business Award. My wife, Debi, passed away in 1998 at the age of 46 from breast cancer. We experienced the effects of national home health care facilities that were able to purchase products at a much more competitive cost. In 2010, we sold this division to Apollo Medical (Medichair). This would allow us the time and energy to refocus our efforts on prosthetics and orthotics, which were the basis on which the company was founded. My only child, Heather, joins the Menzies team. Today I enjoy running the business with my wife, Bridget. Bridget joined me thirteen years ago and with her strong managerial skills was able to bring some fresh ideas and views on advancing the business. Last summer, I was seeing a patient that returns annually from Saskatchewan each summer to visit. As I was adjusting his prosthesis, he reminded me that he has been coming to Menzies since 1929! He was just three years old. We are seeing the culmination of several years of research with so called “smart legs” being fit. Today, above knee amputees with on-board computer assisted knee units are routinely being fit. My father would shake his head when I explained that this system sends up to 70 signals per second to the knee and foot allowing for grade differentials in terrain as well as speed changes. The system even senses various types of surfaces such as sand, grass, or pavement and adjusts the prosthesis accordingly. This is a long way from when my grandfather carved sockets out of willow wood and wrapped the outside of the wood in rawhide to keep it from checking. 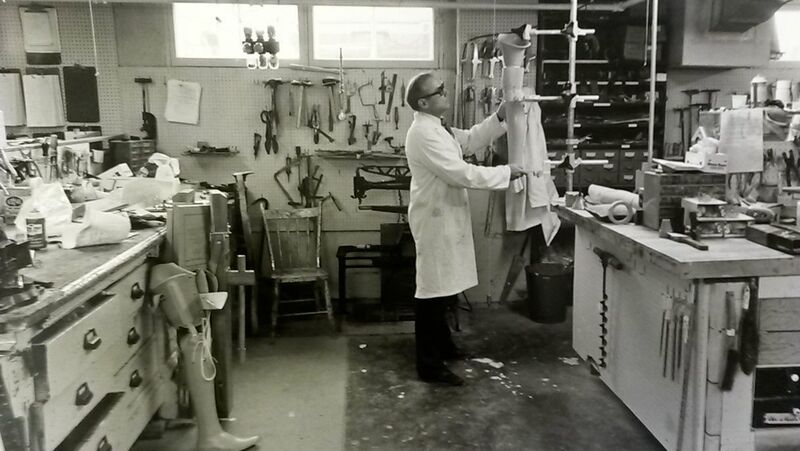 The manufactured components have changed through the decades; however the results of the prosthetist or orthotist’s careful analysis of the patient’s situation, accurate measurements, fitting and painstaking craftsmanship have not changed. Dad, passed away tragically on May 7th 2016 at the age of 90. Up until the day before his passing, he reported to the office daily to read the Daily Gleaner and check his emails. We shared an office for 40 plus years!